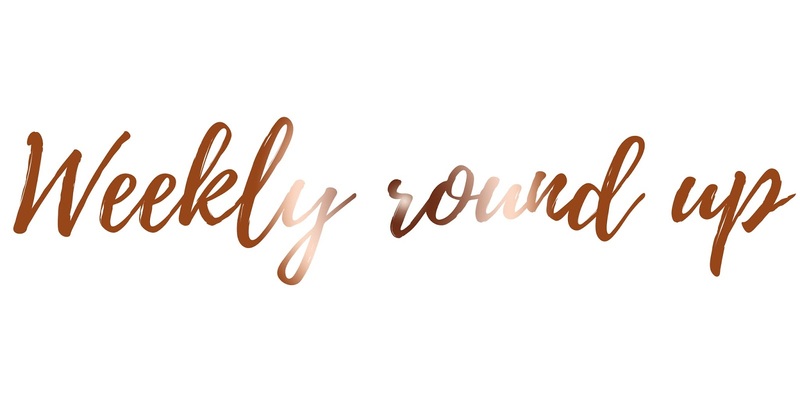 Can you believe it's been a week since my last Weekly Round Up? or even that it's the fifth day into March already? I can't. Why is life going so quickly right now? I just don't understand! Every day if flying by like there's no tomorrow. I've had a lot more of an eventful week this week, and I've also found my motivation for blogging again in bulk! So, I handed my university presentation in twenty two days earlier and I cannot explain how incredible it feels knowing I have the world lifted off my shoulder. However, at the same time my tutor who I love to pieces is leaving in two weeks; what a killer that put on my mood! I'm absolutely dreading my final year knowing she won't be there! Especially when I cannot stand the other tutors, but meh; life goes on luckily. On the plus side, she told everyone I had a first in my other presentation which I haven't even handed in yet, woop! This week I also told my boss that I'm planning on leaving. I haven't decided when I'm leaving yet, I guess once I've found a new job, it'll then be four weeks from that day. I was so incredibly nervous about telling her, I had no idea how she was going to react or whether she would support me or not, and I have to say she definitely surprised me. I never thought she would have been as supportive as she was and I'm so glad I'm able to leave my current job without feeling guilty! Lastly, blogging is another thing on my mind right now and has been for a while. I haven't felt motivated and I've been really slacking with my blog lately. I used to schedule my posts at least two weeks in advance, but recently I've been writing every post either on the day, or the night before; terrible, I know! I have felt dreadful with my blog and I just needed to find the motivation to get back into it. So this week I purchased a bundle from That Lame Company and oh my, just receiving stationery products has pushed me to plan, schedule and want to put more effort into my blog. If you've never heard of That Lame Company, I highly suggest checking it out! Chloe is absolutely wonderful! Let me know how your week has been!